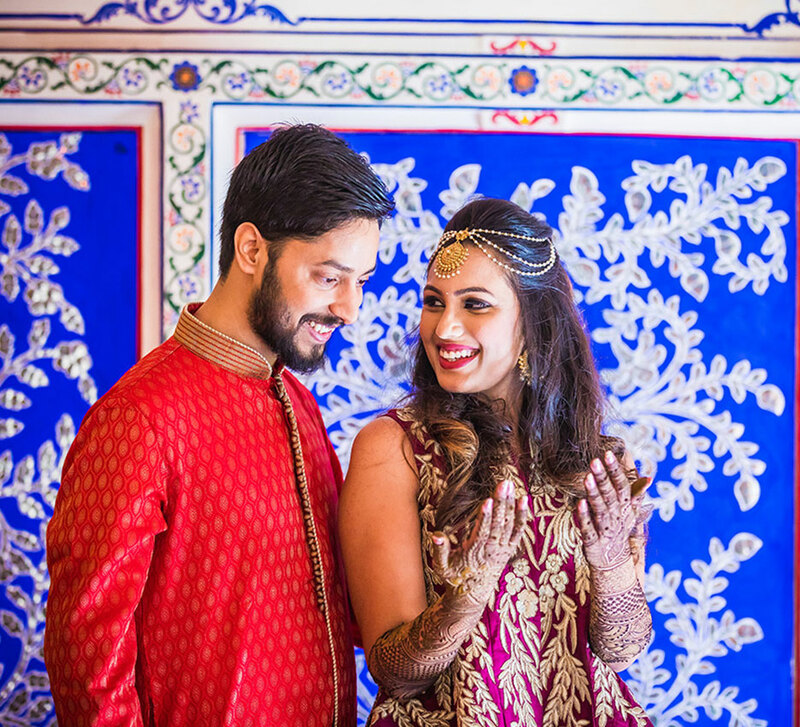 A canopy of twinkling fairy lights, a mandap inspired by regal architecture and an engagement with the sun on the horizon were only some of the charming features at this wedding. 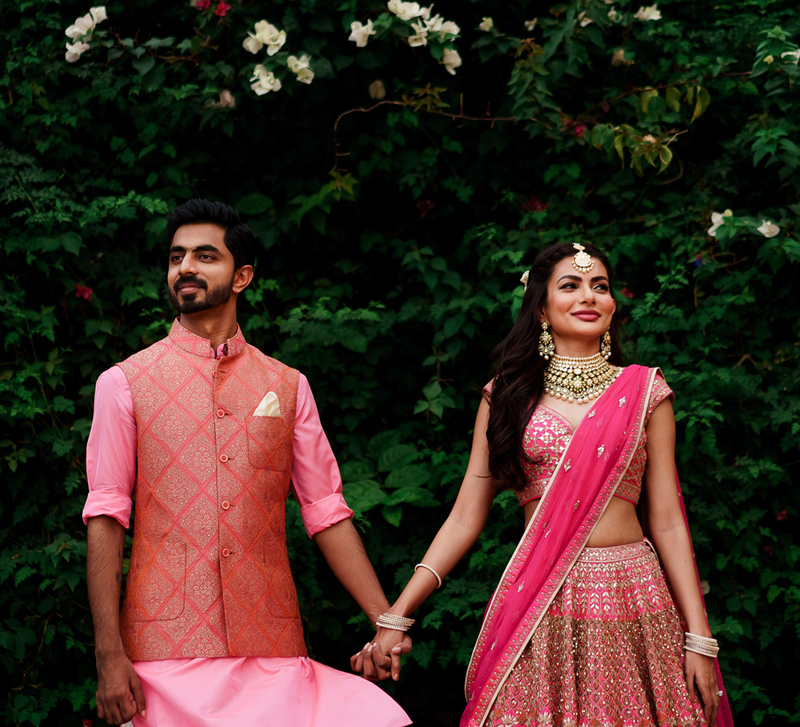 Purvi and Akash first met at a wedding – a hint from fate perhaps, that this celebration of a union would one day lead to their own. The couple recently tied the knot in Goa and WeddingSutra Favorite - The Wedding Salad captured the revelries for posterity. The bride shares with us their story. 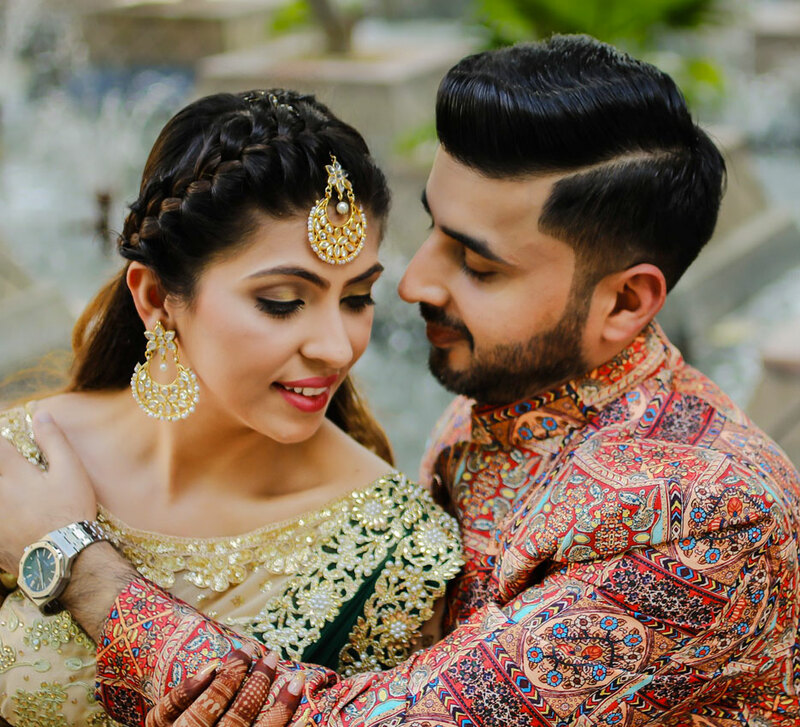 “My cousin is a friend of Akash’s and we met at his wedding. Things got a bit awkward because Akash thought I was cute and people began teasing me. But Akash ignored all of them and came up to talk to me. Soon enough, we were so engrossed in our conversation we forgot about everyone else and the entire reception. 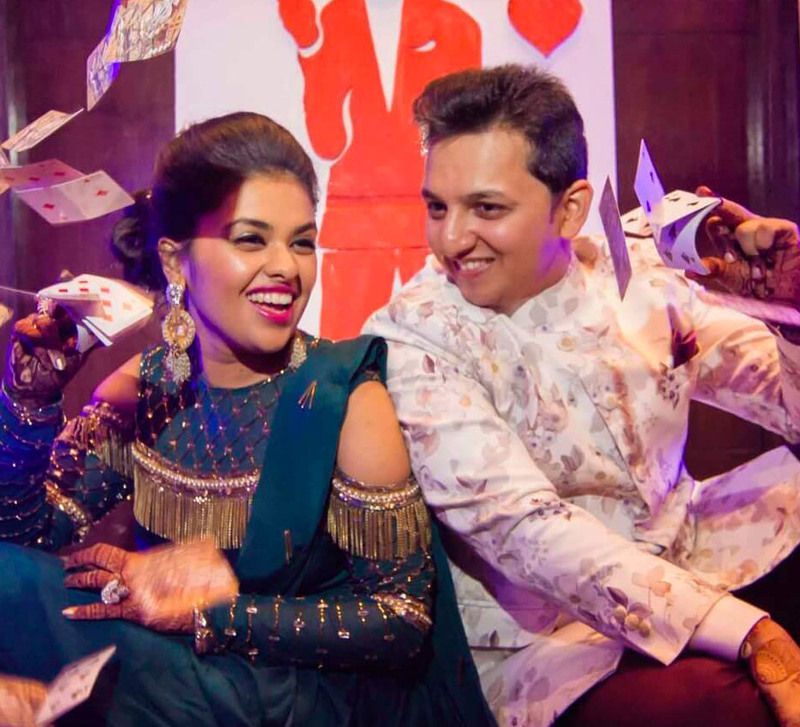 “We wanted a very fun-filled affair and we wanted to have our wedding ‘our way’. Getting married in Goa, by the beach was something we were very eager to do. “The setup for our engagement was western influenced. An arch heavy with lavender and white flowers stood over the entrance and led to an aisle flanked by bird cages also full of flowers. We exchanged rings on a stage and a mandolin player segued the transition into the sangeet.